Déjà vu. It’s a French term. Vivo. Now that one's Portuguese meaning, more or less, "vitality". Blend the semantics and you have the experience of VW’s new entry level model range. I am of Madeirian descent so I would like to declare bias - I like the Vivo’s name. Beyond the cool name, well yes, you are indeed having an authentic déjà vu experience, for VWSA’s new Vivo is very much the previous (fourth generation) Polo. So, what’s the point? Well, VW has spent an exorbitant amount of money (R3bn) on its Uitenhage plant, improving local content supply and shoring up competitiveness amongst VW's global network of assembly facilities. Now, after all the money has been spent, VW has to produce a fair volume of cars - which could be a problem considering the company’s local entry level offering (Citi Golf) has been retired. Vivo presents a massive capital investment by VW. Will it be in production for as long as Citi Golf though? Many hoped VW would fill gap left by Citi Golf’s retirement with the Gol – Brazil’s bestselling car, which runs on a fourth generation Polo platform. It was not to be though, and the decision not to bring the Brazilian Gol here is seen (by some) as an own goal (excuse the pun) by VW. The irony of Vivo having a Portuguese name was not lost on me during the product presentation by VW’s executives. What local buyers now have is the option to gain entry to the VW range for just a little more than R100 000, piloting something rather familiar – the previous generation Polo. Although fourth generation Polo owners will no doubt be spewing expletives at what the launch of Vivo has done to their cars residuals, it’s worth remembering that the automotive world is a dynamic one and model cycles are a fact of life. 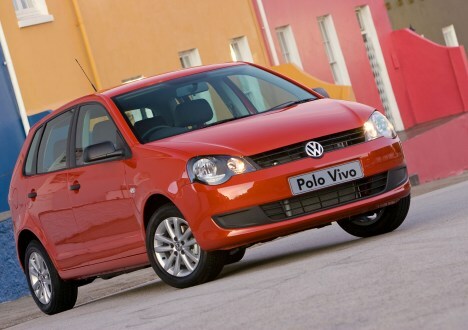 VW’s principle aim with the Vivo was not to undercut the new Polo range. Instead the Vivo’s market position is there to ensure customers searching for an entry point to the VW range are afforded one traditionally offered by the erstwhile Citi Golf. With Vivo’s entry level pricing at R101 500 for the hatchback (R115 800 for the sedan) it’s a fair stretch over the now defunct Citi Golf’s pricing matrix, yet undercuts the previous generation Polo appreciably too – for a good reason. Despite the new light clusters (front and rear) and some remoulding of the Vivo’s front styling features to ensure contemporary VW group identity, this new range is very much a Polo "Lite". As a cost exercise, the similarly-powered Vivo models are cheaper than the previous generation Polos were because some features have been deleted. Perhaps the most notable omission concerning new Vivo range is a lack of air-conditioning across the range – something which is unforgivable given South Africa’s climatic conditions. From the entry level Vivo 1.4 two-door right through to the 1.6l Trendline sedan, if you want air-conditioning you’ll have to add R9 280 to the list price. Window operation is manual on all models bar the 1.6l Trendlines – which feature front-occupant electric power operation for the side-glass. Infotainment is optional on all but the 1.6l Trendline models (that boast a USB/MP3 enabled radio unit). What you do get as standard in the new Vivo range is height and rake adjustable power-steering, driver and passenger airbags, three cup-holders and – well, that’s about it. New steering wheel. Cabin has better stowage space utilisation (especially under the glovebox) than new Polo. Do you know someone with a fourth generation Polo? Well, you should really. VWSA sold thousands of them. If you wish to know what Vivo’s like to drive, go to somebody with a previous generation Polo, ask for the keys, drive it around the block and you’ll experience essentially what I did on the Vivo’s Eastern Cape launch. The Vivo adds a new three-spoke steering wheel to the helm, but for the rest it's standard fourth generation Polo fare. The engines range from oversquare 1.4l fuel-injected four-cylinder units (there are two derivatives) to the venerable 1.6l long-stoke four. Outputs will be familiar to specification fetishists and it’s hardly class leading stuff. The two 1.4l derivatives produce either 55- or 63kW, whilst the 1.6l engine tallies 77kW. Peak rotational force numbers aren’t too bad, the 1.4s equalling 132Nm and the 1.6l engine 155Nm. Vivo’s lack of contemporary construction and sound deadening materials mean most of the range weighs only between 1- and 1.1t, which ensures performance is not wholly asthmatic. VW claims the 1.4l Vivos are good for a sub-13 second 0-100km/h sprint time, whilst the 1.6 models should duck under 11 seconds for the acceleration benchmark. Top speeds are 171-, 177- and 187km/h for the two 1.4s and 1.6l respectively. On the road Vivo was, predictably, like driving my mate’s 2004 Polo Classic. Despite the generous steering wheel adjustment (something close rival, Renault’s Sandero lacks) the driver’s seat is not height adjustable, so if you are taller than 1.8m forget about finding a proper driving position. The pedal placement is decidedly old-school too and so is the five-speed transmission’s slightly indifferent shift action. Vivo’s electro-hydraulically geared power steering set-up lacks the fluidity of the new Polo’s, yet manages to be better weighted at times. From a comfort perspective, road and mechanical noise levels are well muted, yet the Vivo’s damping can never match expectations if you’ve driven the latest Polo. By comparison the Vivo’s ride is easily unsettled by surface imperfections, which make their presence well known to occupants. Road holding abilities very much depend on what model you choose. Unsurprisingly the Trendline models, boasting 14-inch alloy wheels and 185/60 profile tyres, grip best with reasonably accurate chassis responses to inputs from the helm. Perhaps the best part of the Vivo is its performance through the gears. The clutch action is not great, and the shift quality hardly better, yet I drove a both the 63kW 1.4 and 1.6l derivatives and both were fair performers. Obviously you have to shift to fourth for most overtaking manoeuvres, yet with both higher output engines in the Vivo range producing peak power around 5 000r/min - you fall easliy into the engine's most powerful speed range. The 1.6l engine in particularly feels practically unburstable. Even with the (optional) air-conditioning running at full tilt and two rather strapping colleagues in the car with me I never found the Vivo significantly lacking performance. Only the Trendline models gets 14-inch alloys - all other Vivos ride on steel wheels. Entire range features a full-size sparewheel. Old car of new deal? So, has VW pulled off a staggeringly brazen hatchet job with the new Polo or given South Africans something they desperately want? Vivo is an infinitely better ( and safer) car than the Citi Golf ever was. As an ownership prospect it will also prove a third cheaper to insure. Then again, if you don’t need the additional pace, the appeal of a new entry-level 1.4l Polo is vastly superior to the similarly priced Vivo 1.6l Trendline. When it comes to Vivo, the sedan configuration makes most sense. VW will sell as many as they can build.